(CNN) – Former Alaska Gov. Sarah Palin will celebrate Labor Day in the first-in-the-nation primary state of New Hampshire. The 2008 GOP vice presidential nominee will attend a Tea Party Express rally in Manchester on Monday, the same day former Massachusetts Gov. Mitt Romney was due to attend the event. Romney cancelled his scheduled appearance Tuesday, opting instead to join the Tea Party Express national tour Sunday evening before Labor Day. The move made room in his schedule to attend a forum in South Carolina Monday at the invitation of Sen. Jim DeMint – -an invitation he initially declined. But the tea party group isn’t losing sleep over his schedule shuffle. “We are always thrilled to have Sarah Palin join one of our rallies,” Tea Party Express chairman Amy Kremer said in a statement released late Tuesday. Palin has remained mum on whether she’ll jump into the 2012 race for the GOP presidential nomination, but steered her national bus tour to New Hampshire in early June. She attended a clambake in the influential state on the same day Romney formally announced his presidential bid there. And two days before she speaks in New Hampshire, Palin is scheduled to visit Iowa, home of the first-in-the-nation caucus. The tea party favorite has indicated the end of September is a “drop dead” timeline to make a final decision on whether she will seek the 2012 GOP nomination for president. But her appearances in both Iowa and New Hampshire are sure to stoke speculation about which way that decision will go. CNN's Kevin Bohn, Peter Hamby, and Shannon Travis contributed to this report. Do we really want a President that thinks politics is just a game? Don't we have enough of this already? Isn't it quite clear what the tea-party agenda is and what's their quest? Americans are becoming fed up with a non-official group of dissenters who believe that a black man has no place in the white house. We are quickly developing an apathy towards this group which is proving as the days go by that their agenda is rooted in racism. Naming themselves as the 'Tea Party' they want to sound like revolutionaries, forgetting entirely why the Boston Tea Party was formed and what they had achieved in their day...The American Revolution. Tea party 'activists' however. need to be educated as to the fact that the Boston Tea Party fought for a 'worthy cause', not rooted in bigotry and racism. It is no wonder their popularity is diminishing at such a rapid rate as a 21st century populace is avoiding embracing a group of antiquated bigots who seemingly don't realize that the X and Y generation are very much educated on the evils of RACISM. The Tea Party would do themselves proud if they start to call for apologies from states which sanctioned slavery and in so doing killed off millions of innocent people, just like the Brits did as they sought to expand their empire all around the globe. Sarah Palin, in particular, looks more and more so idiotic as she refuses to heed the warning of sensible educated Americans to desist from attacking President Obama simply because he is not 'one of us' meaning he's not WHITE. Gone are the days Sarah when African Americans and ALL other so-called minority groups are walked upon as trash. No wonder she couldn't even identify Africa on a map and didn't know if it was a country or an island. All the Tea party is doing now is driving a wedge between republicans and republicans. As a result of this evil influence the Republican Party has lost it's brand and has become a divided entity. Barbara Bush has joined the loud voices which continue to insist that Sarah Palin best bet is to return to Alaska, and in so doing, the most convenient route for her is via the Bridge to nowhere. Funny that she thinks Romney is still the front runner. Palin is the only one who can CLEAN UP WASHINGTON and its wasteful spending. New CBO report on all the unbelievable waste in government. We are getting fleeced. Have you read it? And the first stimulous was a joke, at the last minute the Dems put in all their pet projects, very little went to stimulate the economy. They're crooks! Plain and Simple. Let's not forget how many cabinet members Obama selected who hadn't paid their taxes...and yet they want YOU to pay even more!! Sounds a little hypocritical to me. 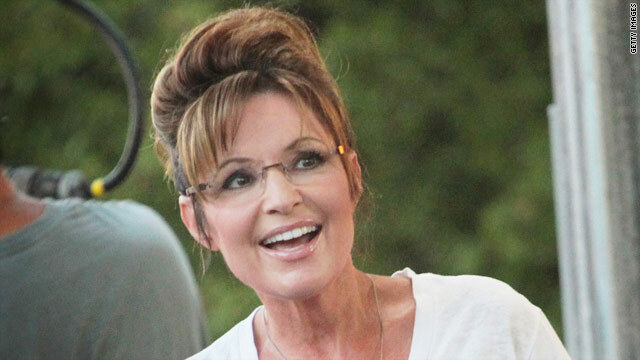 Palin may not run, but she'll be in office soon enough in one capacity or another. If not a President Palin then Energy Secretary Palin would be appropriate. GO Sarah!!!! And keep up the good work of standing up for America and helping us get our great country back on track.